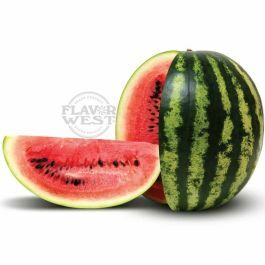 Natural watermelon Flavor offers an aromatic taste of sweet and juicy watermelon flavoring; just like a fresh, ripe watermelon. This flavor adds perfect watermelon taste to your cakes, candies, drinks and more. No artificial sweeteners. Type: Watermelon All Natural Water Soluble Flavoring. Ingredients: Natural Flavoring, Propylene Glycol. USP Kosher Grade Flavoring. Usage Rate: 15-20% for E-use. Flavor Suitability: Suitable for candies, baked treats, fruit juices and beverage making, lips balm and more. Specific Gravity: 1.09 No Refunds on Flavoring.